We’re switching things up a bit with the monster manuals produced by our patreon project. 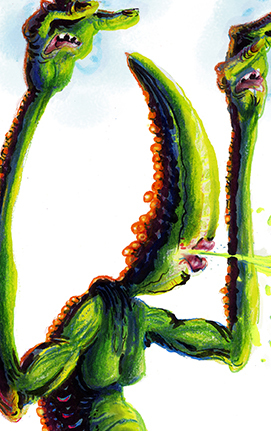 The End of Known Space is our first collection of science fiction monsters for Dungeon World (and Adventures on Dungeon Planet). It’s our first monster planet! The Maldoran system lies at the edge of the universe, a world full of corruption and danger. Take a safari on the planet or explore the cornucopia of pharmacological substances available there. Try your hand at mining the asteroid belt, investigating the abandoned moon base, or use the system as a launch point for an expedition into the elusive darkness that lies beyond the end of known space. 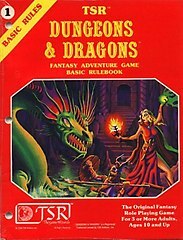 Like the MM series of monster manuals, The End of Known Space contains previously-released Monthly Monsters material that has been revised and expanded, with more illustrations and rpg content. 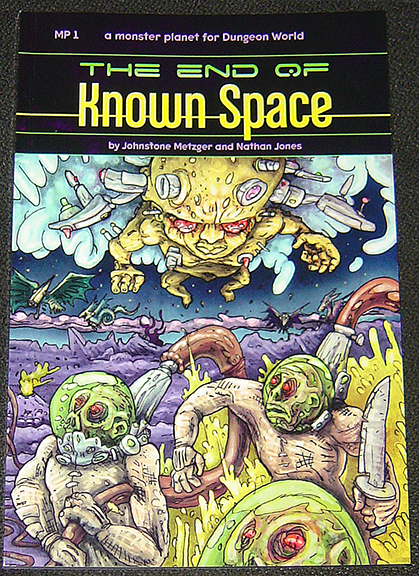 The End of Known Space is available in print and pdf from DriveThruRPG. The pdfs are halfletter digest size (5.5×8.5″) and 110 pages. One version has full-colour backgrounds behind the text while the other has black text on white pages, with the same illustrations. The print book is US trade size (6×9″), premium full colour, and 110 pages. I made a Youtube video of me looking through the print version of Terrors of the Ancient World, so all y’all could see it and know what it looks like. Hopefully it makes you want to buy a copy! Last year, I started a Patreon thing in order to make monster manuals with a friend of mine, because he can draw real good and I can write pretty well. So we make two monsters every month, and now, finally, we’ve put some of them together into an rpg book. 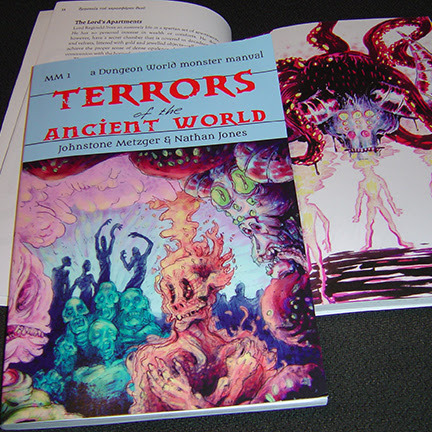 Terrors of the Ancient World is a monster manual for the Dungeon World role-playing game. 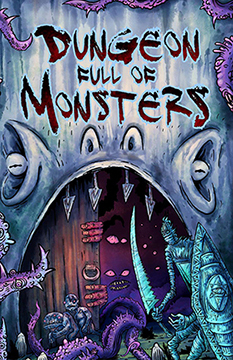 It has over a dozen monsters, illustrated in full colour, along with all the things that make Dungeon World unique, like fronts and dangers, custom moves, and a fiction-first focus. There’s also a new character class, the Satyr, and plenty of adventure hooks, items, NPC ideas, and even a few locations. This is NOT just a reprint of the Monthly Monster material. 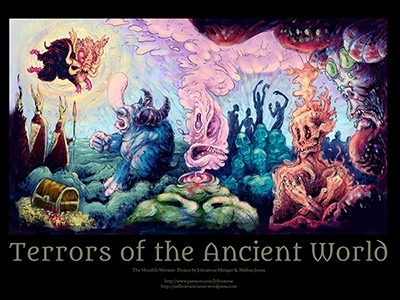 Terrors of the Ancient World contains plenty of new material, corrections and edits, and new illustrations. Monsters that were originally illustrated in black and white are presented here in colour. Please Note: Although the monsters we release every month as part of the Patreon campaign include versions for both Dungeon World and Labyrinth Lord, this book contains only material for Dungeon World and is designed to highlight the particular strengths of that game. It is not compatible with Labyrinth Lord in any meaningful way. There will, of course, be a Labyrinth Lord compatible book of our monsters that presents them in ways best suited for old school fantasy role-playing, but we are still working on that. 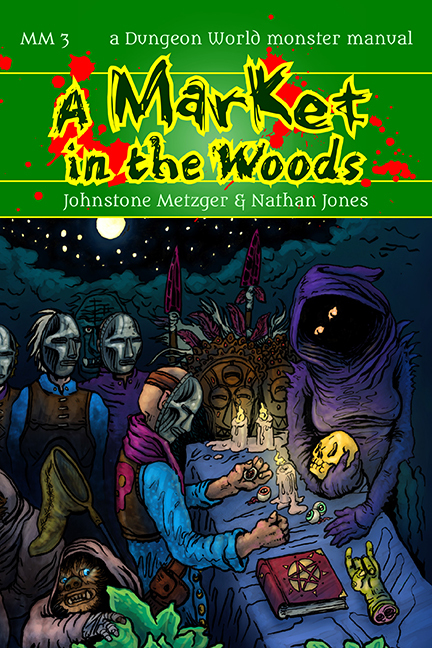 WHERE TO GET IT: From DriveThruRPG, click this link. The pdf is digest-sized, full colour, 107 pages, for US$15. The print is US trade-sized, full colour, 108 pages, for US$30 and comes with a free pdf if you want one. You can also buy the print version by itself (no pdf!) from Lulu at this link. The quality is about the same as DriveThruRPG, but some countries get much better shipping rates from Lulu. the mannerisms and behaviours of anyone they could observe. and no true Sargosyalan remained alive. Considered by planetologists to be the pre-eminent apex predator on Maldorine VII, the Heliotropic Sky Devils feed off the various megafauna roaming its planet’s deathlands. But recently, the arrival of the Moon Marauders have thrown their lifestyle into jeopardy. Special Qualities: Hyperviolet-reflecting skin pigment, Multispectrum eyes, Wings. The megafauna of Maldorine VII are partly comprised of metal, usually in the form of a chrome exterior, all the better to reflect the hyperviolet rays unique to the star Maldorine. 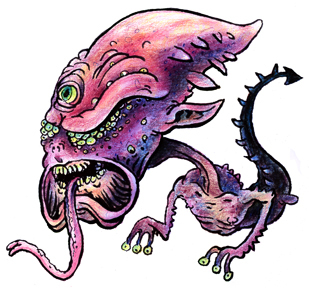 The Sky Devil is the largest specimen of those creatures that have instead developed special skin pigments, but the lack of metal in its biology has not hindered it in any way. It is still the ruler of this world, able to rend apart steel and iron. Reigning supreme over all other predators, the Heliotropic Sky Devil languidly roams the skies of its deadly homeworld, endlessly searching for prey. Call out to other Sky Devils. Detect a foe’s weaknesses with multispectrum eyesight. Grab a foe with its tongue. If they prove to be too dangerous: Become confused, fail to understand. If they submit and cower: Move on to other things. When a Moon Marauder is detected: Summon other Sky Devils. 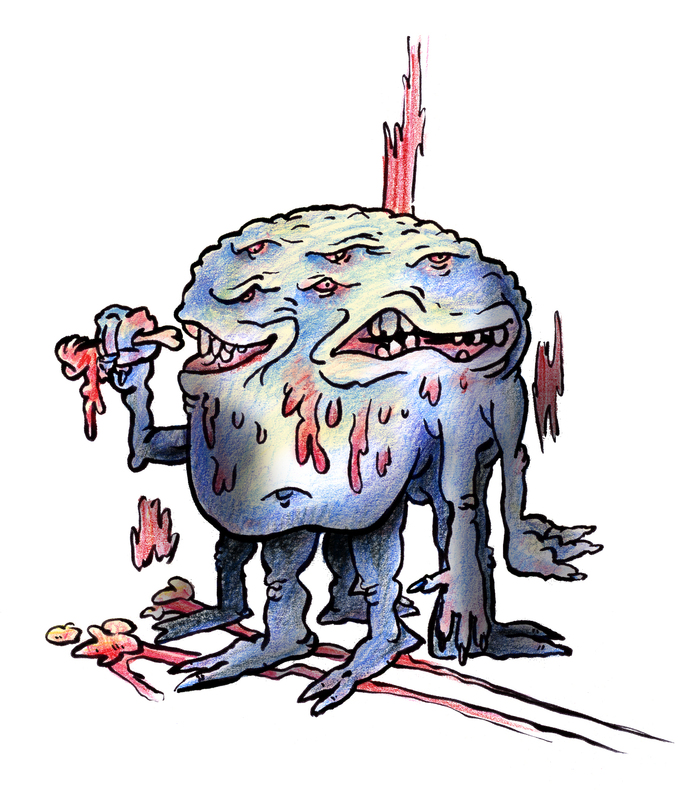 Using this monster: You can use this as a regular Dungeon World monster, but you can also use it as a gigantic, nigh-invulnerable beast if you treat is as a spaceship, using the rules in Adventures on Dungeon Planet. In that case, it can only be harmed by spaceships and other such vehicles, but not by humans or their laser pistols.